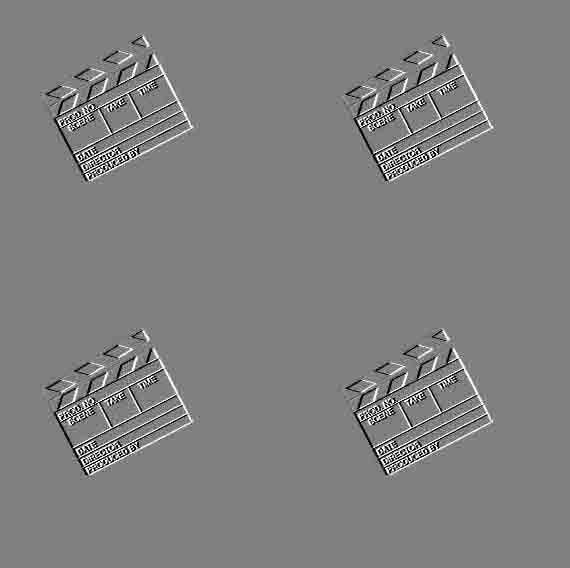 Statto's Movie Review Site - Lilo & Stitch Review. Lilo & Stitch (2002), Cert U. Directors - Dean Deblois & Chris Sanders. Starring - Chris Sanders, Daveeigh Chase, Tia Carrere, Jason Scott Lee & Ving Rhames. Premise - Experiment #626 (Chris Sanders) was created to be the most destructive force in the galaxy by a genius alien doctor. When he is scheduled to be destroyed, 626 escapes and crash lands on Earth, Hawaii to be exact. Enter Lilo (Daveigh Chase), a child that lives with her sister Nani (Tia Carrere). Lilo adopts 626, whom has holed up in a dog pound and renames him Stitch. Can Stitch avoid the alien team sent to recover him and help stop Lilo going into foster care? 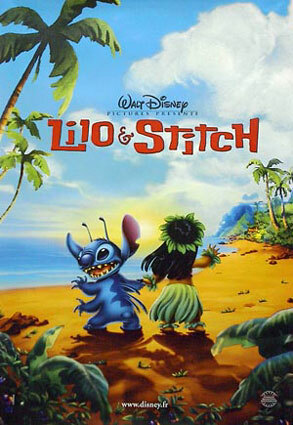 Lilo & Stitch had one of the most innovative promotional campaigns of recent memory, which saw Stitch invade various other famous Disney movies. So, you had Stitch literally crashing in on 'Beauty & The Beast', Lilo trying to chat up Ariel from 'The Little Mermaid', Stitch catching a flying carpet in 'Aladdin' and Stitch taking Simba's place on Pride Rock from 'The Lion King'. It was funny stuff and not the sort of promotion you would expect from Disney. Then again, this is no ordinary Disney movie. This film is way too funny to be a Disney flick, I have never laughed so hard at a film from the 'house of mouse' in all my life. Disney films are too busy being sweet, sickly and twee to have time to be amusing. Whilst Lilo & Stitch does have its share of 'happy' moments the sheer amount of laughs that is on offer more than makes up for it. It may be a cliché, but Lilo & Stitch IS a kid’s film that the whole family can enjoy. The lion’s share of the laughs comes as a result of the antics of Stitch. Stitch is billed from the beginning as a creature created with only one purpose in life, the destruction of all that surrounds him. So we are treated to Stitch jumping about breaking things, not doing what he's told and generally being a nuisance. Also, because he is virtually indestructible you get a lot of 'loony toon' style physical comedy as Stitch goes through all kinds of punishment. I won't go into the specifics of the various situations as it would spoil the film, but suffice to say the chuckle factor is kept high. I cannot stress enough how un-Disney Lilo & Stitch is. In any other Disney film Stitch would be the annoying 'comedy' sidekick whose figure you would find in a happy meal. He would spontaneously burst into cheesy song at the drop of the hat, whereas here he is the star and rightfully so. He's so mischievous, but at the same time incredibly endearing that it's hard not to warm to the fuzzy little fella. The rest of the characters are equally as varied and original. Lilo and her sister are a broken family, her parents having died in a car crash, what other Disney film would flaunt such a storyline? Lilo's sister Nina, is played by Tia Carrere and follows Disney's tradition of having strangely alluring women in their animated films (see discussion of Ariel in American Pie for details). Ving Rhames plays the social worker assigned to Lilo's case and his character is basically Marcellus Wallace from ‘Pulp Fiction’ in cartoon form, right down to the suit and ear ring. Jason Scott Lee is David, Nina's love interest. The animation is of a very high standard, it's refreshing to see a hand drawn animated film (although some CGI touching up has taken place, most notably in the space scenes). Toy Story and their ilk, whilst excellent films can feel a little sterile thanks to the CG animation, the hand drawn work in this film adds a warmth that CGI is still unable to produce. Chris Sanders who wrote, co-directed and stars (as Stitch) is clearly a name to watch out for in the future. His sense of humour is profound and is just off kilter enough to have peaked my interest. As the film goes on inevitably the sickly sweet moments do start to filter in, at the end of the day this is still a Disney film after all. That said these moments are tolerable and are certainly not as bad or heavy handed as I have seen in previous Disney films. Lilo & Stitch is a funny, funny film that flicks the bird at Disney’s history to produce one of the freshest films to have come from them in a long time. Some sugar coated nonsense from the later scenes aside this is one that adults can laugh at with their kids and not feel stupid. Recommended viewing for all. Poster Quote - Had me in stitches.